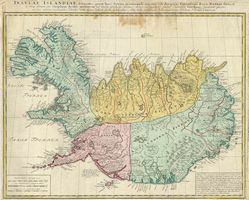 This is a rare and spectacular 1761 Homann Heirs map depicting Iceland. Fine map of this region compiled according to Danish surveys. Lovers of Icelandic sagas will recognize many of the towns and cities noted.